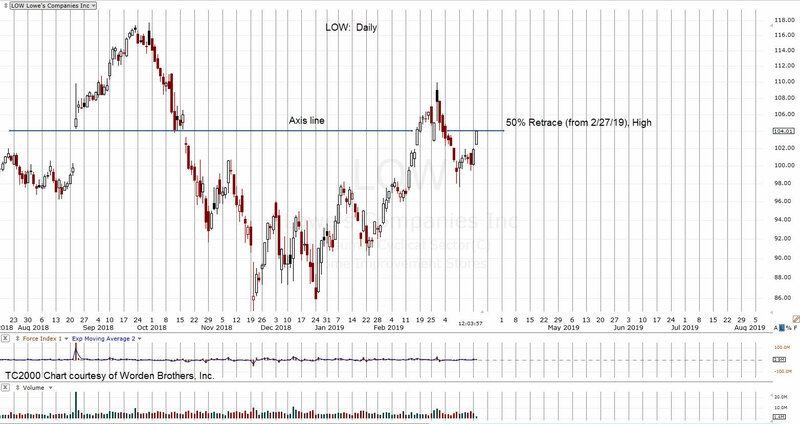 At mid-session, LOW is at 50% retrace as shown. On the day of a Fed announcement (tomorrow) bid/ask spreads on options widen significantly. If there are any positions to be established … best to do it a day ahead of time. The retrace (on chart of LOW) has been extended back in time. It’s clear this level is important as it forms an axis line.